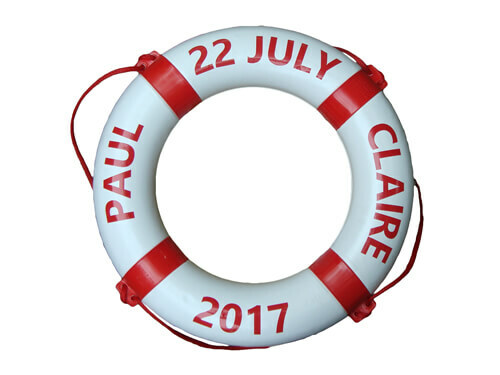 Personalise a classic red and white lifebuoy ring with your boats name or personal message to add your own character and style onboard. 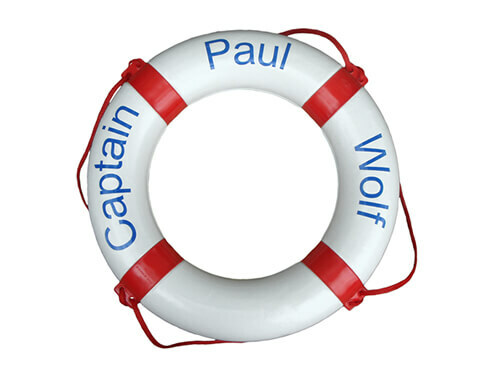 "I would like to say a big THANK YOU to you and your team, who put together and made the lifebuoy ring that I ordered from you last week, for my partners birthday. It was delivered on time and my partner was over the moon with it. Thank you once again." 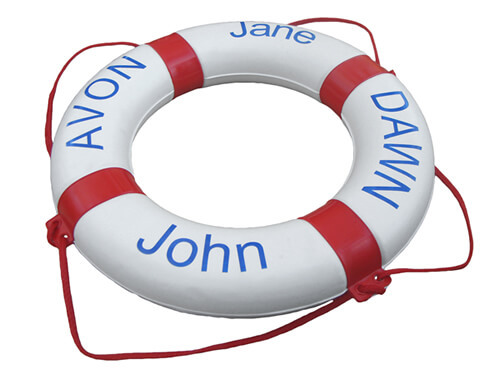 What better way to add your own personal touch to a boat than a personalised lifebuoy ring! 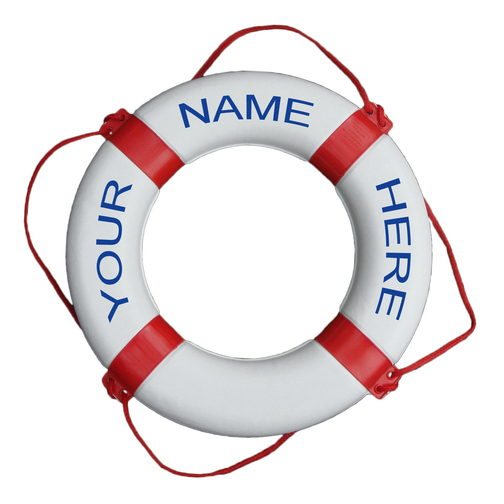 Have your boats name or a personal message affixed to this lifebuoy ring - a great gift idea or treat to yourself! 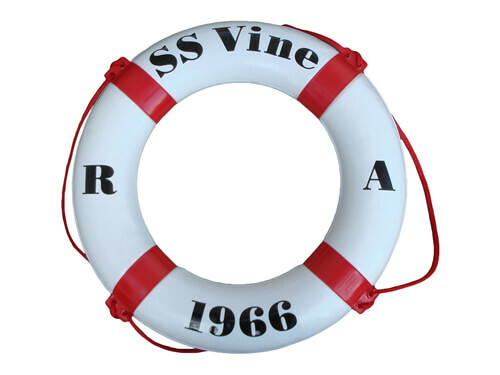 This lifebuoy ring is a classic red and white polystyrene interior, durable PVC welded exterior ring lifebuoy that measures 65cm in diameter and features a red nylon safety rope threaded around the lifering. How do I order a personalised lifebuoy ring? 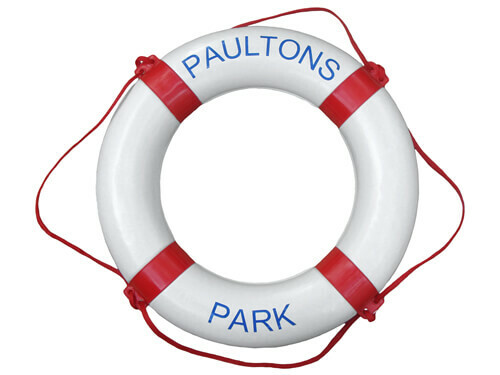 To order your very own personalised life ring simply place an order for a personalised life ring online (press the "Add to basket" button above), contact us or pop by our River Thames Shop to place the order. 1 - Your Sheridan Marine Order Number "SM-??????" 2 - Your chosen Message (between one and forty characters). 3 - Your colour from BLUE, BLACK, RED, BROWN or, SILVER. 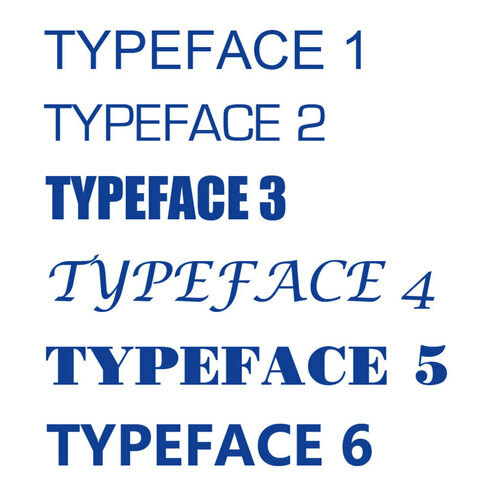 4 - Your chosen Typeface (1, 2, 3, 4, 5 or 6 as above). 5 - Your chosen Layout (for example what will appear in section A, B, C and D, maximum ten characters per white section). 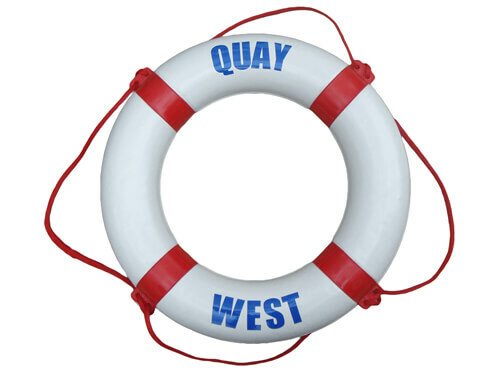 Please note: Once we have received the above information the order is confirmed so please make sure all the details are correct as we will be unable to refund any personalised lifebuoy ring from this point. 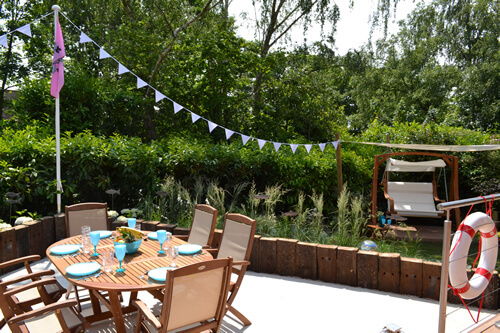 Our personalised lifebuoy ring helped transform an uninspiring garden near Southampton, for a very special paediatric nurse and her family, into a nautical themed 'cruise ship' garden in the shape of the prow of a boat. You are able to have a maximum of forty characters on the personalised boat life ring, ten characters per white section A, B, C, D (please see photographs above for explanation). Why am I limited to the amount of characters? There is a maximum limit of charters (forty in total, ten per white section) because the number of characters affects the overall size of the words and anymore than ten per white section will make the words too small. Can I have less than the maximum characters? Yes, you are able to have between one and forty characters (maximum ten per white section). 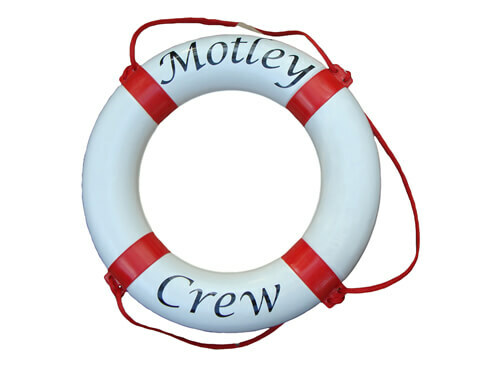 What Colour is the lettering? 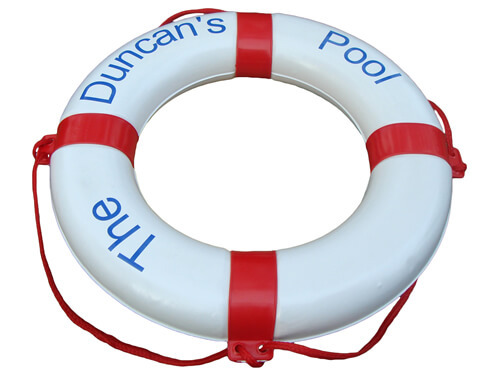 All the lettering will be specifically printed for your chosen design in Royal Blue, Black, Red, Brown and Chrome vinyl lettering. (Please note: that although care is taken to match colours as accurately as possible, digital applications can alter the appearance of colours and does not allow exact colour reproduction). Can I pick where the letters go? Yes, within reason, we will endeavour to follow instructions as to the formatting of the lettering. The positioning and maximum number of letters per white section cannot be changed, however, the locations and the word splitting can. What typeface can I choose? 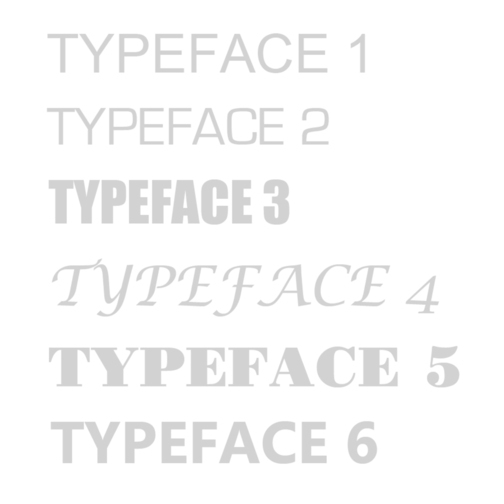 There are six typefaces (fonts) available, these are shown in the photographs above and are all in capitals. When confirming your order please specify which typeface you require (one style per life ring). 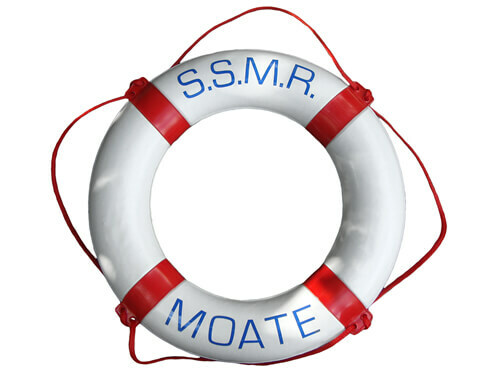 Can I choose multiple typefaces on my life ring? 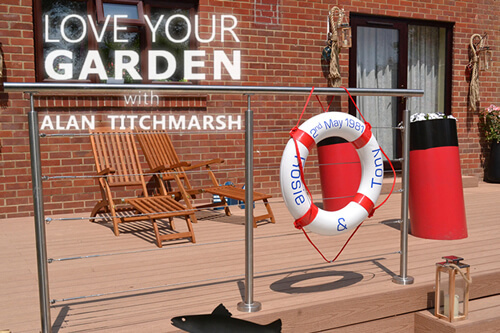 Unfortunately this is not possible as our vinyl printer will produce your design in one continuous print. Is there anything that cannot be printed? We are only limited to whatever the typeface limitations are, so, in theory, any well known character, including letters, numbers and symbols should not be a problem. If we experience a problem with your chosen message we will contact you before we print anything. 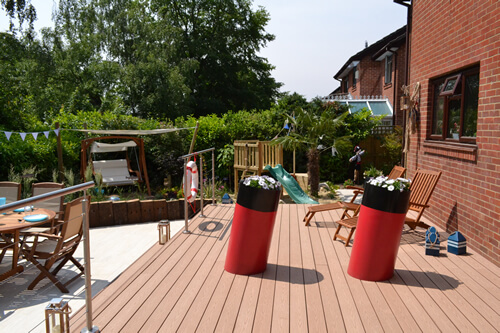 We will not however, print any swear words, abusive language or anything that we deem offensive and we will not be held responsible for any offence a message that you choose may cause. Can I cancel an order once I place it? 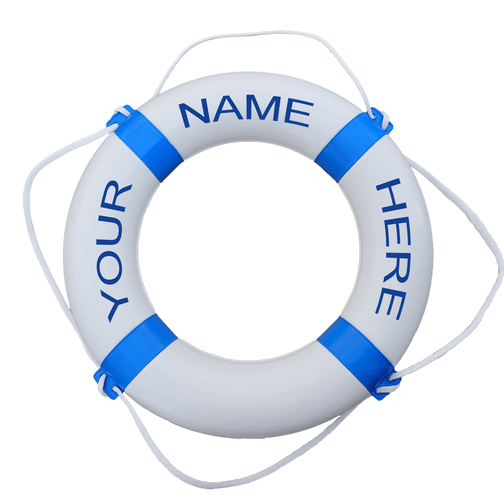 Due to the nature of personalisation once we receive your 'Personalisation Details' (either by email, by telephone or in person) we will be unable to cancel your order and from this point no refund can be given. 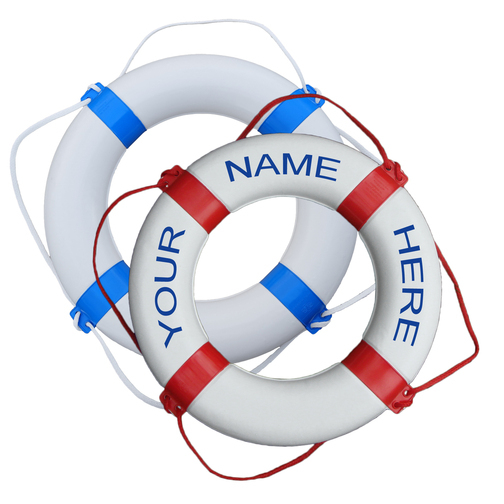 How long will it take to print my personalised life ring? 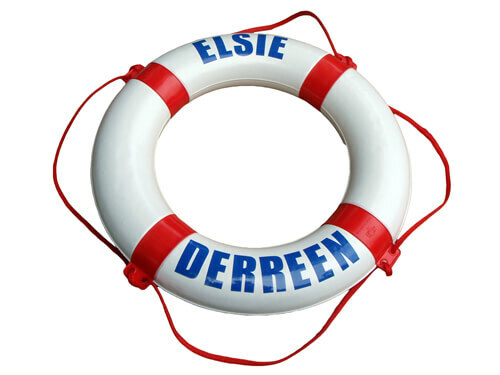 We will endeavour to produce your personalised boat lifebuoy ring as quickly as possible and would usually expect a life ring to be personalised within three days and dispatched to you soon afterwards (based on a Monday to Friday working week). 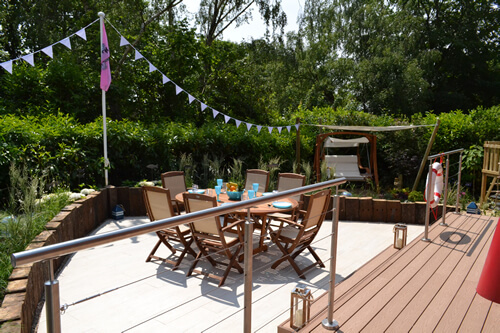 Please bear in mind that at peak times, including Christmas and Easter, times may be extended so it is always best to order as early as possible! Please note: We will not take any responsibility for the message that you have selected and we will not print any message that we deem inappropriate or offensive (such as swear words) and we maintain the right to refuse to print any message whatsoever. 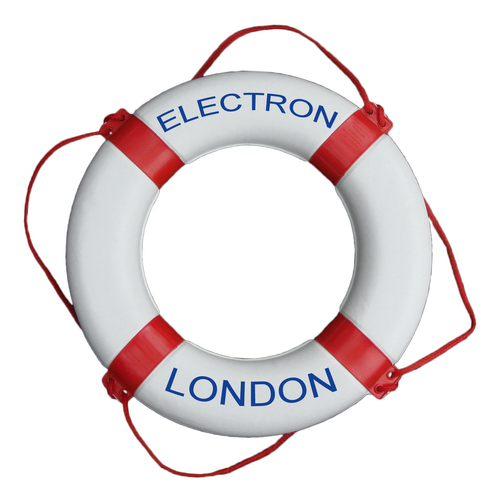 Not suitable as an offshore lifebuoy floatation device.